"The Audience" – A sculpture by Michael Snow adorning the façade on the northwest corner of Rogers Centre. 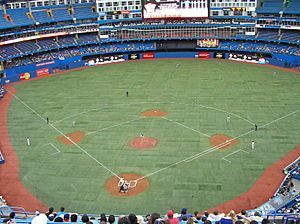 Rogers Centre Facts for Kids. Kiddle Encyclopedia.